Reppin' the WEST we have the OCK Thunder VS the SA Spurs and Reppin' the East we have the MIA Heat VS the BOS Celtics! 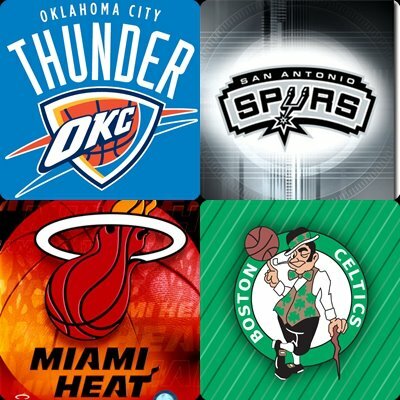 Who do you think will advance to the Finals? ?